A number of House Democrats are urging the FCC to make sure that T-Mobile will accept steps designed to protect jobs as a condition of FCC approval. In a letter to FCC Chairman Julius Genachowski, 62 House Democrats urged they would work against “another consolidation of two companies that leads to reduction of American jobs.” The letter further asked the FCC to force T-Mobile to commit to “preserving US jobs” before signing off on the proposed merger. T-Mobile has committed to adding more than 1,000 jobs in their B2B department even as they cut more than 350 net jobs in 2012. This letter is just another minor bump in the road as T-Mobile and MetroPCS still have some work to do to push the merger through as the two largest MetroPCS shareholders press for a better deal. MetroPCS shareholders will vote on the proposed combination on April 12th. Soooo they want to force inefficiency and wasted money on salaries for duplicated positions. Got it. That’s should be the boards decision alone, not the FCC’s to hold over their head. Now it will just be part of the boards decision. Ben, not only the FCC should be overseeing this sort of thing but the Department of Labor as well. It’s time to put roadblocks in front of Corporations who want to outsource jobs to some country with no minimum wage, no environmental concerns, few limits on child exploitation, etc. This is NOT an FCC matter no matter much people think it should be. I would fully expect any company to take it to the highest court to stop the FCC from having a say in job creation or deletion. Now, if they were telling the FCC to dictate how spectrum was being used, then I would say yes… the FCC should handle that. I don’t like mergers and too big to fail corporations myself but we need these agencies to stick to their reasons for being and not give them new roles. The injustice is using force to advance your own agenda. If your agenda is so great people will adopt it manually and you won’t need to force it. Welcome to the wonderful world of liberal democrats. Thinking with their hearts instead of their heads. Ain’t wrong with that. It is even better when they are on the same page. Its good that they think of people and their concerns first. Conservative Republicans think with their brains but don’t use their hearts very much. Really, it just needs to be compromise between the 2 to make really good decisions. Too bad compromise and congress/senate are oxymorons right now. We could get things moving if liberal democrats and conservative republicans weren’t such polar opposites! At least they didn’t say ” we won’t vote to approve it at all”. I am sure T-Mo will come up to an agreeable solution. Verizon had similar issues when buying Alltel. They agreed to no job cuts but they simply did not rehire as people left through normal attrition. Metro will do the same thing that T-mobile did during the AT&T buyout attempt. They fire tons and tons of people based on production numbers that before were considered great but were changed to force people to leave or just fire them. It’s a way of saying, “Look! We didn’t lay anybody off”. Their attempts lost countless jobs but they still ended up shutting down 7 call centers and moving quite a few of the jobs overseas. 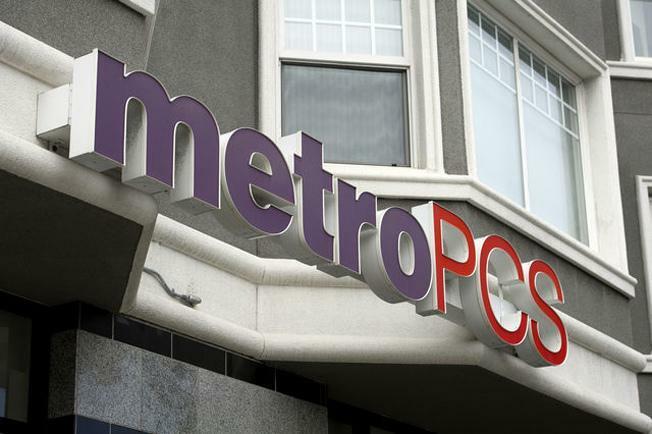 Except for the top levels, the two companies will be running running independently until at least 2015 as MetroPCS customers are moved over to the new network, and likely to remain a separate brand longer than that. Doesn’t open a lot of room for redundancy. people don’t get this, but forcing things like this does more harm than good. It prevents a free economy and drives up costs which affect both the business and the consumer. This is a political stunt, nothing more. That is a pretty sweeping assertion. No economy is completely free and nor should it be. Corporations don’t play nice without oversight and rules. Just an FYI, in the current consumer market, this merger is GOOD for the consumer. It makes for a stronger 4th option which contributes to higher competition in the industry. Saddling this new company with cost constraints the others don’t have is not a good thing. Neither do I want to. Learning how to pinch pennies eventually will lead to me getting blisters on my fingers. T-mobile, how does it feel to be in AT&T’s shoes now? Like us and share your opinions! As an employee working in operations, T Mobile really needs the additional employees in operations to maintain the existing network and to manage customer growth rather than hiring outside contract companies who’s crappy installation work causes high drop calls and other network issues. The company (T Mobile) operates very lean with the expectation that existing employees in operations wear many hats causing enormous amounts of stress. The addition employees to operations is a blessing to all in operations which allow work to be off loaded. I am not in favor of anyone losing their jobs but the govt should stay out of these matters. How interesting. 100 faceless congressmen whose names were never disclosed signed a letter to FCC supporting AT&T’s application to buy T-mobile. AT&T of course has the most number of lobbyists on the hill. Not one of our corrupt politician’s talked about job losses then. No surprise here, AT&T wants to bog down T-mobile. What better suggestion than to talk about job retention! The corrupt politicians are back again doing the bidding for AT&T. Government creates job loss not mergers. How can an economy grow with so much restriction on the private secture?